Mike has been busy keeping up with all of the snow this winter. Snowblowing the driveway and sidewalks, shoveling the stairs and decks and keeping the backyard sledding course in tip-top shape. We spent some time checking out his work on the sledding hill yesterday. 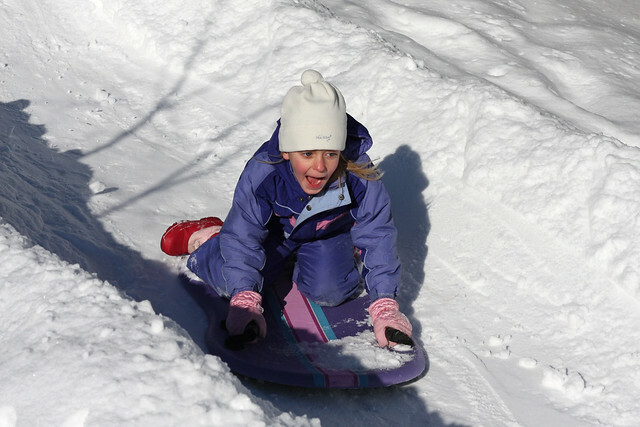 We all had a great time sliding – including the grown ups. Sebastian took a little video of the fun. Here’s Sophia two weeks ago just after she caught some air going over the big jump. Sebastian and Sophia also competed in their third Chester Bowl Ski Race this weekend. They both had awesome runs down the hill. Here are some clips of the action. It’s been so much fun watching the kids improve their skills and their times each week on the course. There are three more ski races this year. We can’t wait! 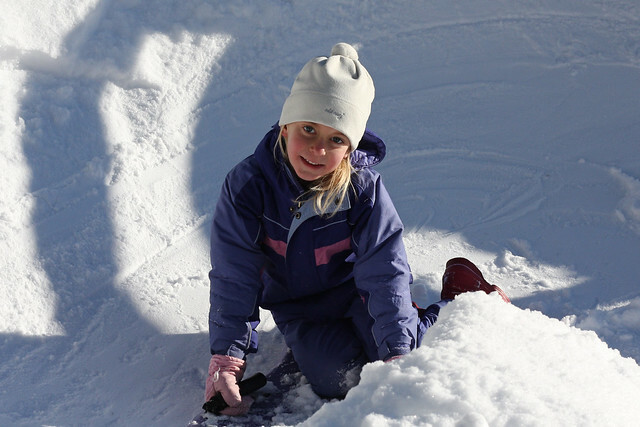 Just watched all your videos on the site…what fun and can those kids ski…WOW!!! I think they will definitely beat Papa. I think Sophia may be faster than me now. I better get out and do some skiing or I won’t be able to keep up!